PARLIAMENT– A preliminary report by a select Committee set up to investigate the circumstance under which mysterious bags were sneaked out of Bank of Uganda have pinned former Executive Director, Banking Supervision on the disappearance of the items. The team led by Francis Takirwa (UPDF Representative) also had other MPs including; Andrew Aja (Kabale Municipality), Nathan Itungo (Kashari County) and Betty Muzanira (Rukungiri Woman) who presented their report to Parliament. While briefing MPs on the Committee of Commissions, Statutory Authorities and State Enterprises (COSASE)on Wednesday morning, Takirwa said an investigation by Parliament concurred with details availed by Bank of Uganda security team on Tuesday. Takirwa said that Bank of Uganda’s CCTV Cameras showed that the bags were sealed, and it was impossible for the team to know the contents inside, while the other was a polyethylene bag blue in colour which was used to ferry items outside. “The people on checkpoint couldn’t know because these items didn’t pass through the scanner,” Takirwa said. It was then that COSASE Chairperson, Abdu Katuntu announced that Bank of Uganda officials including; Charles Omoro, Beatrice Kyambadde Security Assistant as well as Bagyenda’s bodyguard Job Turyahebwa and her aide Juliet Adikot were going to be questioned by the select Committee and have the report produced before COSASE on Thursday. Katuntu defended the decision to have a closed-door session saying Parliament runs a risk of exposing Bank of Uganda’s security sytem to enemies of the Bank. However, his decision was protested by Florence Namayanja (Bukoto East) who asked to have journalists thrown out of the meeting as opposed to locking out MPs from the probe. Katuntu replied saying that any MP is free to join the team if they feel passionately about the subject other than having the security details of the Bank being publically interrogated. 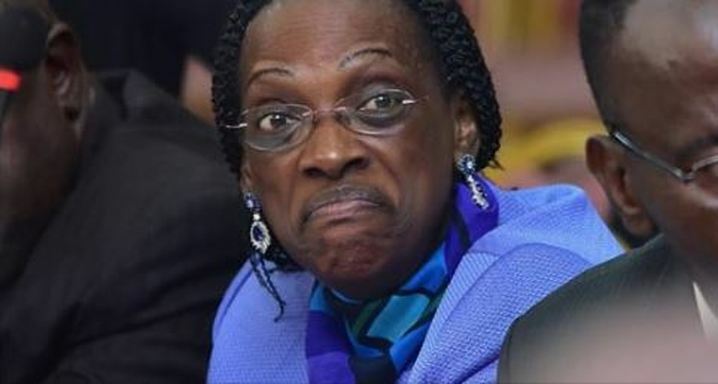 According to the probe, the items were removed from the Bank on 10th February 2018 at around 4 pm and returned on March 14, 2018, at 6:24 Pm that is when Bagyenda entered office and left around 6:50 Pm.